The multimillion-dollar reconstruction of Larry H. Miller Dealerships' three downtown Spokane stores reaches another milestone this month with the July 13 grand opening celebration at the 44,845-square-foot Larry H. Miller Downtown Toyota Spokane (LHM Downtown Toyota). The Toyota dealership, which sits on two acres, is nearly 10,000 square feet larger after swapping locations with the group's Honda store. The new building features an impressive showroom, including a colorful mural detailing Spokane's history; a spacious customer lounge with Wi-Fi, a cafe bar and a children's play area; energy-efficient heating/cooling systems; and the most advanced service drive in the industry. The dealership will host two grand opening events on Thursday, July 13, beginning with an open house from noon- 2pm where customers may tour the facility and enjoy entertainment and hors d'oeuvres. Spokane Mayor David A. Condon and members of the Larry H. Miller Group of Companies will be in attendance, and representatives from Toyota Motor Sales will present a ceremonial Katana sword, a long-standing Toyota tradition. The afternoon will conclude with an official ribbon cutting outside the dealership. Then from 5-9pm, a 1940s-themed event to celebrate the history of Spokane's auto row will take place. Hors d'oeuvres and drinks will be served, a selection of local businesses and nonprofits will showcase their goods, and the Kathleen Cavender Jazz Trio will entertain. Both events are open to the public with members of the community invited to join the celebration. 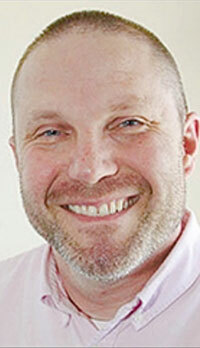 Linn Parish, who has been deputy editor of the Journal of Business for the last 6 1/2 years, will take over as editor at the beginning of September, succeeding Kim Crompton, who is retiring after nearly 30 years at the Journal. My Fresh Basket, Spokane's newest grocery store, is open in Kendall Yards and it is spectacular. It's a must-see, one-of-a-kind, fresh day-market that is locally owned and operated. It's like Whole Foods with affordable prices. A fantastic deli, bakery, coffee shops, cheese selection, wines and beers. They provide a large selection of fresh, high-quality, locally sourced products and specialty items, as well as your everyday grocery necessities and more. They're open from 5:30am to 10pm every day. U-Haul International, Inc., has acquired the former University City Mall - JC Penney at 10412 E. Sprague Avenue in Spokane Valley. They plan to renovate the building and develop the property into 835 indoor climate-controlled self-storage units with high-tech security features. Downtown Spokane now offers a new option for hungry diners on the go. Barry Dogs has set up shop on the corner of Howard and Riverside in front of the Bank of America. Barry Dogs offers all beef hot dogs and specialty sausages, with a large array of free condiments, chips and soft drinks. They're open weekdays from 10am-4pm. 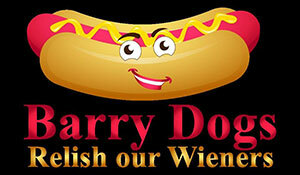 Get more information at BarryDogs.com, or on Facebook. 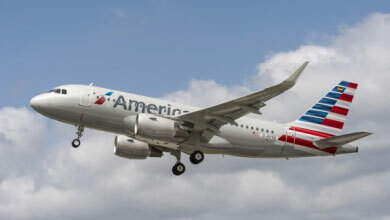 The new daily service is available for booking now online at www.aa.com or by calling American Airlines reservations toll free number, 800-433-7300. Vancouver, Washington-based SmaK Plastics, Inc., manufacturer of rotationally molded plastic bins and bin liners, pallets, tanks, and hoppers, has opened a facility in Hayden, Idaho. They moved into a facility at 181 W. Aqua Ave. formerly occupied by a company that owned rotational equipmen. 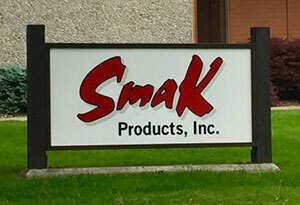 The business, SmaK Products, Inc is the second facility operated by SmaK Plastics, Inc., creating about 45 new jobs in the area and approximately $10.2 million in wages over the next seven years. The business is located in a facility formerly occupied by a company that owned rotational equipment. When the business closed, Panhandle Area Council (PAC) inherited the assets and contacted possible buyers. YWCA Spokane fundraiser, 'An Evening In Tuscany,' is an Italian inspired summer evening benefit scheduled for Friday, July 14 from 5-10pm at Barrister Winery event space and private alleyway, 1213 W Railroad Ave. The benefit provides an ideal opportunity to highlight 50 northwest artists who each donated one or more custom works of art in support of YWCA Spokane's domestic violence safe shelter. Over 30 local businesses, 50 artists, 50 volunteers, and 6 major event sponsors, who believe in YWCA's critical mission and community impact, have come together to ensure An Evening In Tuscany will be a success. In addition to enjoying provincial cuisine and local works of art, guests will experience a unique evening of Tuscan-street-fair-like entertainment including impromptu personalized poetry, a caricature artist, a made-from-scratch gelato stand, and live music. All Proceeds Directly Benefit YWCA's Domestic Violence Safe Shelter. Ticket cost is $85 per person. Registration and additional event information can be found at ywcaspokane.org. 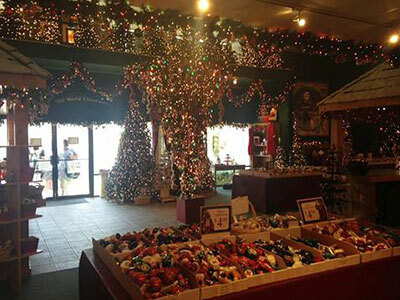 The Old World Christmas Factory Outlet Store is open for their annual 'Christmas in July' sale. Stop by for great holiday ornaments, well below wholesale prices. The sale is at their Factory Outlet store, 4005 E Main. Hours are Monday through Friday, 11am to 3pm. Find them on Facebook for more information or call 509-532-7445.